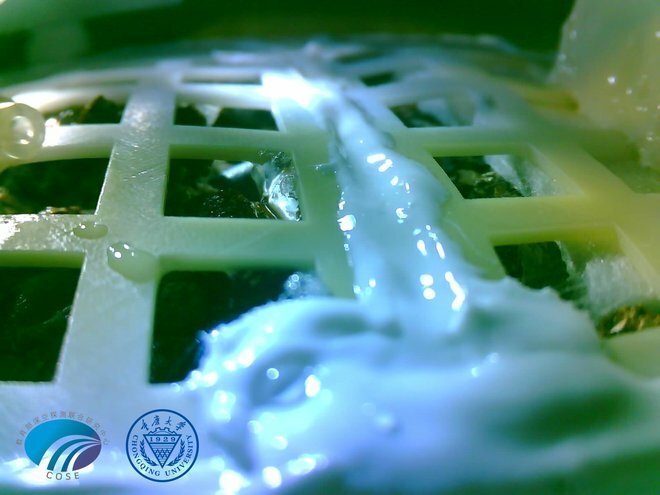 The Chinese space craft that just landed on the moon had a tube with a biosphere in with flies and plants. What are they expecting to learn? Didn't we already experiment that on the ISS? The capsule and its seeds are stored on the Chang'e 4 lander. It protects the biosphere from the positive +/-200C degree temperature swings. They are basically experimenting to see how life evolves and survives in near zero gravity. Unlike the ISS where they essentially tested the same concept just in Zero Gravity. Learning this will better prepare humanity for populating other planets as well as long space travel time. Right now, almost 100% of existing research on growth in gravity fields is basically at 0g (ISS/Mir/Skylab/whatever) or 1g. There are a lot of questions of what happens at 1/6g or 2/3g? No good experiments to demonstrate. Thus the Chinese lander is testing 1/6th g.
SpaceX is likely to brute force test 38% g when they get to Mars. It is entirely possible that mitigation techniques developed for 0g are not useful or needed or effective at 38% g.
The Space Studies Institute (Via Gary Hudson, of Rotary Rocket infamy (alas)) is pushing for something they call G-Lab, an orbital facility with a control facility, at 0g and then a centrifuge at some other value. If you are interested in this topic, there is an excellent "The Space Show with David Livingston" episode where Gary Hudson discusses this issue. The Space Show does not allow transcripts so I cannot link to anything like that, you are left with only listening. They did it for propaganda or pride mostly. What sprouted quickly died because it froze. They did not have a method to protect the biosphere from the temperature swings. This is what they expected and admit. The Chang'e-4 probe entered a "sleep mode" on Sunday as the first lunar night after the probe's landing fell. The temperature could drop as low as about minus 170 degrees centigrade. "Life in the canister would not survive the lunar night," [experiment designer Professor] Xie [Gengxin] said. There was no intention of seeing how well plants grow to any level of maturity. All they did was prove a seed can sprout at 1/6g. If a seed can sprout at 1g or 0g, I think it is safe to assume it would sprout at 1/6g. They might have proved a seed can sprout outside the protection of Earths magnetosphere, but the moon is sometimes in the tail of our magnetosphere. I'm not sure if it was at this time. Testing if the cumulative radiation dose over such a short mission would damage a seed could have been tested on earth. There was no real scientific value in this experiment that was not also obtainable for less effort and cost. The logical conclusion is that it was done for human emotional reasons. I'm not knocking them for that, I think it's cool. They ran a competition for an experiment to make use of spare capacity on the lander. This one was chosen, most likely for it's potential to cultivate interest in the mission. Not the answer you're looking for? Browse other questions tagged the-moon life plants chang-e or ask your own question. Is there any difference in $\Delta V$ requirements for soft landing on near and far side of the Moon? How did Apollo 16 capture this full photograph of the Moon's far side? Why is the crust on the near side of the Moon thinner than on the far side? What was the first piece of wood to reach the far side of the Moon? Or the first spacecraft? How did humans grow plants on the Moon despite the harsh conditions?